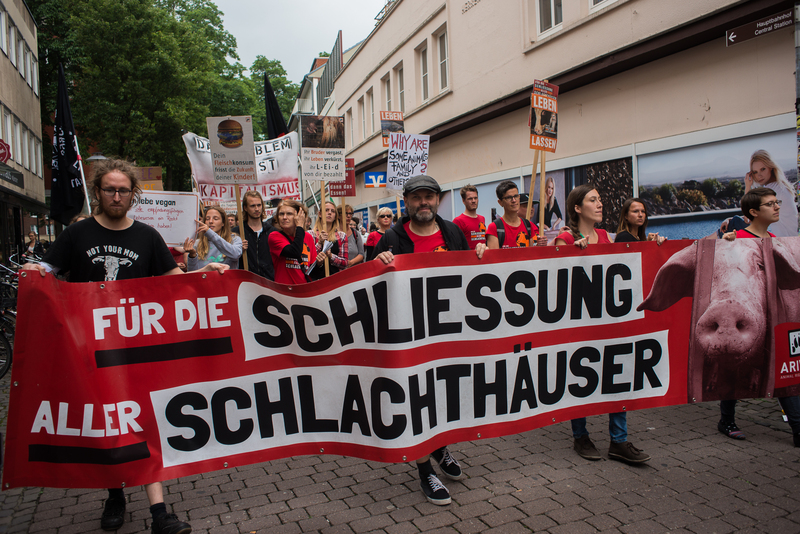 In 2019 a total of 10 German cities is going to host a march to close down all slaughterhouses. Essen will participate for the first time, being organized by the same team that organized the march in Münster in 2018 and in Dortmund in 2017. Get yourself a red shirt (ideally: ariwa.org/shirts) and join us on the streets!